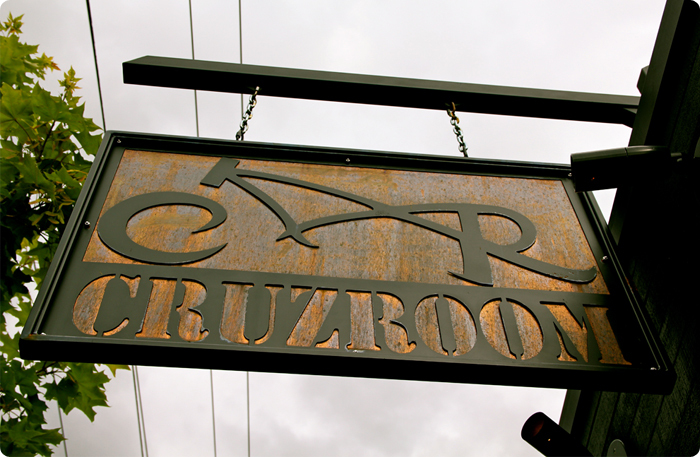 We created an awesome sign for the outside of the Cruzroom bar here in Portland. 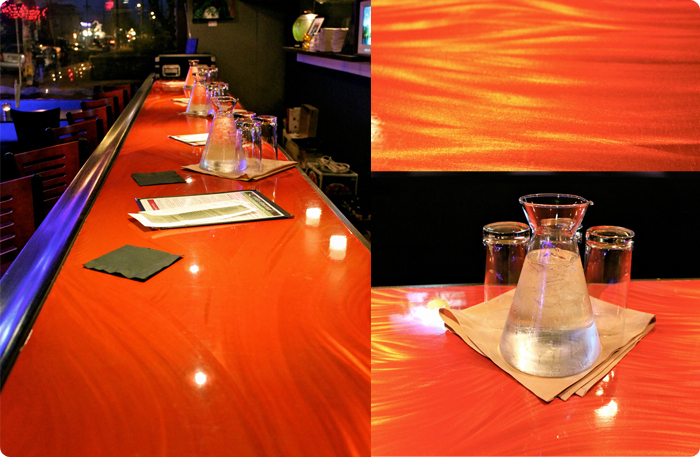 We then fabricated this bar top by using a sheet of aluminum and grinding a pattern into it and then finishing it with an iridescent orange powder coat, perfect for highlighting interesting design. 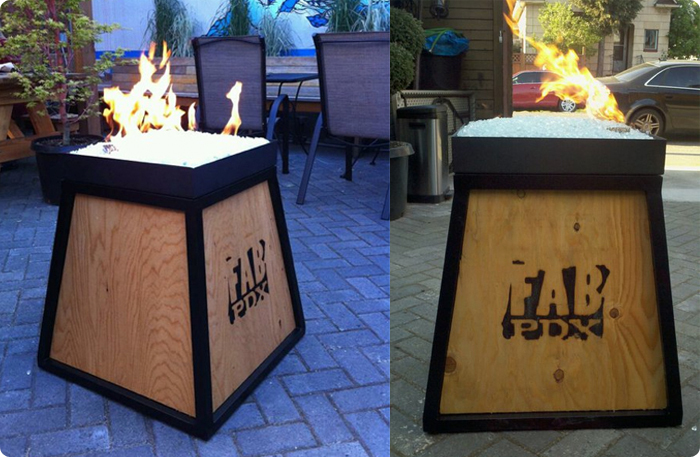 We introduced this one of a kind fire pit for attracting patrons to the patio. It included custom metal work, powder coating, and engineering an appropriate gas hookup system to safely distribute the gas for the flame. The top is crushed glass that creates an alluring fire and ice aesthetic.